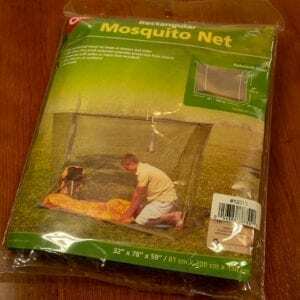 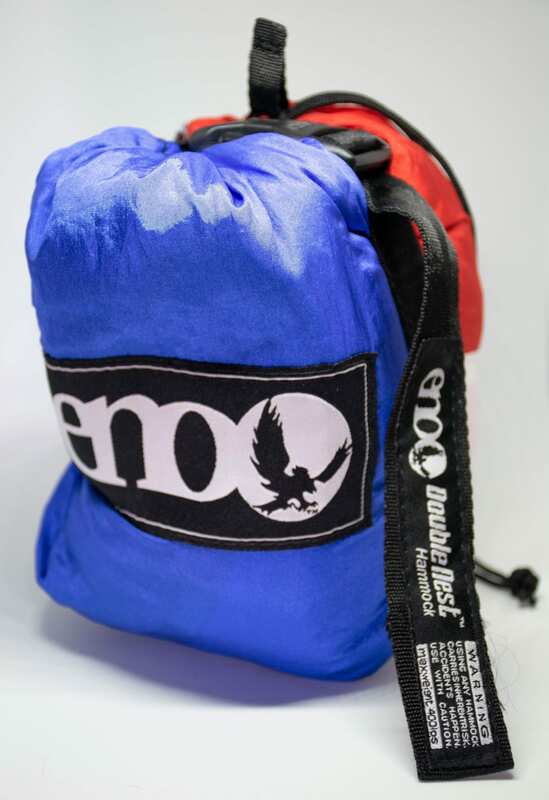 Light and compact enough for backpacking, yet robust enough for backyard luxury, the popular ENO DoubleNest Hammock sets up in seconds and has plenty of room for 2. 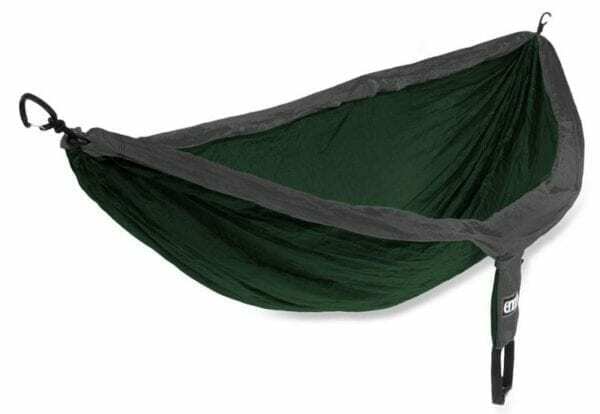 The strong nylon taffeta fabric and roomy design accommodate up to 400 pounds, so you can relax with a buddy or just hog the whole thing for yourself. Built to last with triple-stitched seams, this baby will keep you swinging for a long time. 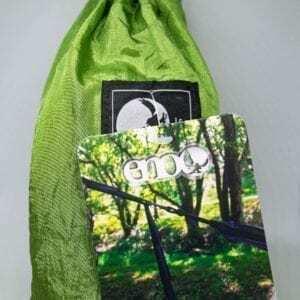 This lightweight gathered-end hammock tucks into an integrated stuff sack the size of a grapefruit and weighs just over a pound, so you can keep it in your car, your daypack or your boat—ready to hang whenever you are. 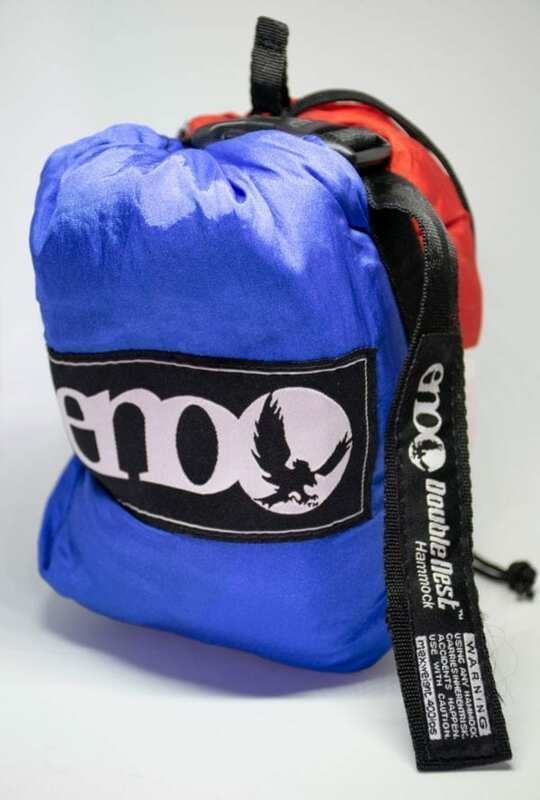 Please note: ENO uses all fabric remnants in the production of their hammocks so the color combination of the hammock you receive may vary slightly from the picture.